Ethiopia is blessed with a huge number of scholars who were competitive enough, the 1960s witnessing this phenomenon. Owing to their outlooks much of them were executed following the political earthquake that shook the country. A lucky few however are still kicking and fighting for the rights of citizens. People are now looking up to them as the guides and masterminds that know the politics of everything. Today’s guest is Merera Gudina (PhD). Currently, he is Associate Professor of Political Science and International Relations in Addis Ababa University. He was born in 1956 at Ambo, Ethiopia. He earned his B.A. in Political Science and International Relations from Addis Ababa University (A.A.U) in June 1986, his MA in Political Science, from American University in Cairo, Egypt, June 1992 and Ph.D. in Development Studies, Institute of Social Studies, the Hague, the Netherlands, July 2002. Merera has been serving the country in different ways. For instance, he was lecturer and the head of Political Science and International Relation Department of A.A.U. He is the chairman of Oromo Federalist Congress (OFC) and Vice-Chairman and Head of Organizational Affairs of Ethiopian Federal Democratic Unity Forum (MEDREK). Merera is one of the well-known politicians of the country. He is also a published author and has written many books on politics; Ethiopian Socio-politics of Ethiopia at the Cross-Roads, From Autocracy to ‘Revolutionary Democracy, The Crisis of Revolutionary Democracy and its Consequences for the Peoples of Ethiopia are just a few of his books. Merera has won many awards and recognition certificates for his outstanding works and unforgettable commitment for the country. The following is found in the long catalogue. Fellowship, National Endowment for Democracy, Washington, Fellowship, African Studies Centre, Leiden University, The Netherlands, Certificate, Capacity Building for Governance, Index of African Governance, Harvard University, John F. Kennedy School of Government, Participate in the International Visitor Leadership Program of the United States Department of State, Washington, DC & Atlanta. Social Science Research Council (SSRC) Fellow, Certificate of Attendance, Vienna University Summer School, United Nations University (UNU) Fellowship on “Preparation For Life in Peace Through Socio- Economic Development”, Budapest, Hungary. He is also an active member of Organization of Social Science Research in Eastern & Southern Africa, African Research and Resource Forum, Association of African Political Science. 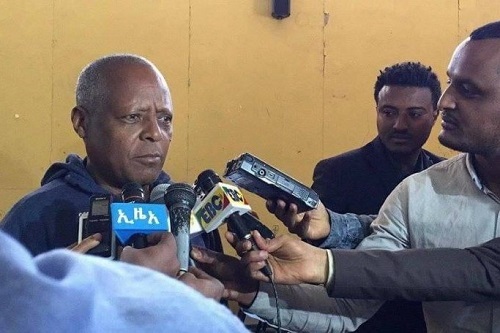 Merera stands out for his liberal comments on Ethiopian issues and Ethiopianism. When and how did you start political participation? Merera: Upon my father’s death, the landlords round our vicinity took our lands and cottages away. I decided to pursue my education parallel to joining political activities to seek solutions to the problems most peasants were facing. I also joined the largest student movement that used to chant “Land to the tiller!” It was the revolting feeling of mine regarding the plight of peasants life that led me to actively partake in the political participation. The deplorable socioeconomic and political facets of the time were that urged me to join fights for rights. What is your take on the current wind of change wafting across the nation? Merera: I am very optimistic about the change. Promising things are palpable on the ground. Dialogues have been jumpstarted with the government. Among the dialogues is found conducting a free, fair and democratic election in the country. Relatively speaking, all political parties are on a level political ground. The reform is started to strengthen democratic institutions like the human right commission, electoral board and judiciary. The push forward is appreciable. What do you think are the challenges for the ongoing change in Ethiopia, what solution do you recommend? Merera: Though the change is marvelous and encouraging, still there are issues that have persisted to be sources of worry. The country is at a critical crossroad. We could go either way. One, the reform is not free from the old guards. Those who were beneficiaries and architects of the destruction that rocked the country for the last twenty seven years are still at large. They are capable of wreaking havoc in different parts of the country to regain what they lost. Second, the reformists have not fully attained the necessary unity and common agenda to move the country forward. Especially, EPRDF members do not seem to have a common grasp of the present changes and common interpretation of their past. Nor do they exhibit a common vision for the future. At least, the parties within the EPRDF should have common appreciation of the reform to move forward. People are appreciating the Prime Minister Dr. Abiy not EPRDF. People are talking about Lemma, Gedu and other not the ODP or ADP. This hints the change is superficial. Though things have changed for the better still people are lamenting challenges of corruption and good governance. These are the formidable hurdles that decelerate the ongoing change. It is not moving with the expected speed. In my view the most difficult challenge for the Premier is the task of wholly galvanizing EPRDF for change. There are very fishy things within the party. Especially, if the forces of change fail to unite hearts and heads, we will lose the chance of allowing the country surge on the avenue of change. If we go back and check the country’s history, we notice that we had lost several golden chances of recasting the fate of the country. We lost such a chance during the Emperor’s time. The forces of change were disarrayed and a military junta came to power and hijacked the revolution. It as well militated against talented members of that generation to the extent of wiping them out. In 1991, TPLF came with the triple policies: equality, multi-party system and free market or fair economy system for all. But, eventually it shifted gear to the revolutionary democracy, which is the mother of all problems in this county to these days. The national equality they aspired to bring through federalism has totally collapsed. The much-touted and so called free-market led to massive corruption in the country. In addition, the democratic multiparty systems ended in defecto one party state. The revolutionary democracy allows marriage between party and state. The boundary between party and state must not be blurred. It does not allow the separation of power. Due to this, there was no check and balance mechanism. Surprisingly also unfortunately, the parliament, judiciary, human right commission and others were working for the party, not for the nation. Therefore, the party has been doing things as per its fancies. It was doing things according to its needs and wants. Most party members, who consider themselves the select few, were squandering money the country garnered from different countries in terms of loans and aids. Studies show that the country had lost around 36 billion dollar due to capital fly. This is a sum that could build about nine Ethiopian Renaissance Dams. In the history of Ethiopia, in 2005 we had stood a chance for the first democratic election that could have gone a bright spot in the annals of the country’s history. Even if there were problems we knew what the election looked like. Though the leading party lost election it proved adamant not to let go the rein of power. Worse still, the party adopted new strategies. It started introducing stifling laws instead of mending its wrong turns. It introduced new media laws, anti-terrorism law, electoral law, and many other laws. By fair means or foul, they pushed the number of their members to five million, a larger number unmatched in many African and other countries. Party members were parasites who sponged on and looted all what the country could produce. Siphoning the country’s resource was what they have been doing. The aforementioned way, we did lose many opportunities of transforming the country. This is the fourth opportunity in our generation. But still we are not creating common agendas to work together. Rather, we are belaboring on our differences than ironing out differences through deliberation. Due to this, we are witnessing strange displacements in some parts of the country. The old guards are still working to destruct the country. The force of change should be united. Amalgamation is a must. We have to create unity and seek ways how things are benefiting all. We cannot do what has been done but we do not have to be prisoners of the past. We cannot go forward in that way at all. We should have to have unity of purpose to see to the sustenance of the change. We do not have to use conspiracies to divide the country so as to reap short-lived and cheap political gains. We lived in such crisis for at least fifteen years. The country was on the rollercoaster of crisis. That was the transformation we had, we should stop the negative history of our past somewhere. We should be united. What do you think are the reasons for the breaches of law and crisis in some parts of Oromia State? Merera: I think most debacles are attributable to the agreements between the ODP and OLF. I think they should make honest deal with issues and sit for discussion to solve their problems. They should stop their distrust and brainstorm on how they jointly work for the people that clamor for atonement of misdeeds they suffered in the past. Together we can move forward. But if they want to drag their outmoded agendas, things are going to go in the wrong direction. We are trying to advise both. The other problem is about slating the day for the coming election and fear of losing the election. It seems as they are working on building military muscle before the election. We cannot go forward with their narrow interest. At least the government should work on it because much is expected from the government since it is leading the country. All parties in Oromia state should work together to troubleshoot the problems and at least to have a common Agenda. What is your reflection on the forthcoming election, some say it has to be extended, what do you recommend? Merera: Extending the election without agreeing on the roadmap is meaningless. Let us have a common ground and road map once. For example, we have to see to the birth of a capable and neutral electoral board. It does not mean top five election boards alone. The task must involve all election committee members at all layers. Then, we can talk about whether we could extend or conduct the election. Let us throw our full weight behind building capable democratic institutions. It is what could come after having basic reforms on the electoral law and others. Then we can extend it to benefit the country. The work kickstarted towards building democratic institutions is appreciable. But it is not striding at the necessary and needed speed. That is why problems are cropping up in some parts of the country. As recommended or the direction set by the premier, have you made an effort or approached by some to merge with different parties having a similar outlook? Merera: We have been acting alone. We are the collation of four parties. To amalgamate or create coalition with some parties having similar agendas, we have been holding talks with few parties. We had been doing this for the last twenty years. We have made preliminary agreements with OLF to work together. We agreed at least to forestall divisive wedges among our people. We consented on uniting our people, Qeerroos (revolutionary youths) and scholars. We made our minds to forge strong ties and unite the Oromo nation. Unless we are not normal, we are not going to drive a divisive wedge among the people. Do you think our country can achieve the intended target in the upcoming election? Merera: Outcomes heavily depend on the will of the ruling party. If the ruling party walks its talk, the future will be rosy. Especially if Prime Minister could deliver some of his promises and most of the political forces of the country respond positively, the election could turn out a hit. If the premier falters and fail to deliver his promises and the other parties refuse to recognize his positive actions, we will lose everything. But if we work together in strengthening the democratic institution, we can achieve the target. What do you say about federalism? Is it recommendable for Ethiopia? Merera: We have no alternative except federalism. All the nations in the country had fought to bring into play federalism. We have brought it as it is basic for a country that has more than eighty ethnic groups. But what we have to discuss on is the type of federalism we should implement. Some groups are seen misconstruing the Constitution, at the same time claiming it must be strictly observed.What can you say about this? Merera: I think on one thing I could support them if they are truly saying justice for all and everyone found guilty should be dealt by the book. Perpetrators of atrocities and all thieves should be held accountable. Otherwise, I do not think that they have the moral high ground to pose questions pertaining to integrity issues and respecting constitution. During last twenty seven years, it was TPLF who was violating the constitution. The constitution remained a paper tiger one. Now, they could not do things as they want. They could no longer weaponize divide and rule as before and making instrument of dividing the country to create and threaten the nation. I think the current change is promoting the interest of all Ethiopians, not the few displeased groups as before. They should stop thinking once again using the constitution as they want and need. They could no longer misconstrue it for narrow political gains and to leech on the country. Always they are trying to provoke others with their narrow agenda. How do you see the land tenure issue? Merera: The “Land for the tiller!” slogan we fought for has been changed to “Land for the investor.” It was one of my views for which I was accused for. For example, if you move around and see the victims around Addis Ababa and other parts of the country things prove very shocking. Strangers are building high-rising buildings and beautiful villas on the land, victims inherited from their parents, whereas the owners are forced to languish under poverty. In many places farmers are suffering from such a bad thing. After all this, even no one knows how they are living. This is looting people’s property. The land grabbed for investment is being used for other purpose. For example, the land taken for investment in Dugda is being used for lush grasses meant for selling. But they were snatched under the pretext of allowing the increase in agro industries. The government is displacing peoples for nothing. So, the land to the tenure issue should be answered. 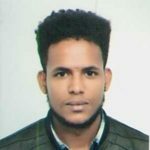 What is your opinion regarding the controversy around ownership of Finfine (Addis Ababa)? Merera: Addis Ababa is the capital of Ethiopia, Africa, Addis Ababians, and Oromos. Addis Ababa is really found in the heart of Oromia. Few people are promoting their own narrow interest. Otherwise, if you look Addis Ababa much of what they use is parts of Oromia. They are surrounded by people of Oromia. I do not think it is advisable for people of Addis Ababa to antagonize with Oromia. As the same time Addis Ababa is the heart of Oromia. Numerous factory products are coming from Addis to Oromia. I do not think the Oromo people are saying the rest of Ethiopians should evacuate Addis. The wrangling is the deeds of few opportunistic elites who want to create conflict between the rest of nations. It is obvious who were displaced from Addis. We can create a common ground for both. Cooperation is better for all and the government. Concerned bodies should work on it. What is your take on the foreign policy gains since the change has taken place? Merera: Especially creating peace with Eritrea is one of the great achievements of the reform. Due to this, peoples of the two countries are going to benefit a lot. Many Ethiopian prisoners in the Middle East and other countries were released. It is a positive unfolding. Many countries have turned their eyes towards Ethiopia. Hopefully a lot more is in store for us down the road.